Is there something specific that got you into the world of craft beer? I think I got my appreciation of craft beer from my brother, Dave. He would always bring over IPAs and Russian Imperial Stouts when I was drinking Oland’s. He made me realize there was more to beer than that, and we could sit down and talk about the beer we were drinking. Tell me a little about your homebrewing history. I’ve been homebrewing for 10 years. I started – like most people – doing Festa Brew kits, and that did the trick for me for a while. It was cheaper, better beer and I was young and poor, so it did the trick. My wife, Mikey, really encouraged me to do it. It became a passion that took over most of my free time, and I have experience starting and running a business. So Mikey put the idea in my head and she put a lot of faith in me. I would also credit the beer club here (NBCBA) for making me want to start a brewery. I had always wanted to do it, but never thought I could. I gained a lot of knowledge and confidence being in the club. It’s been 2 years already, and most of that time is fundraising, paperwork, applications, applications, re-doing applications. You have to prove yourself to a lot of people before you get anywhere, and that can be discouraging. 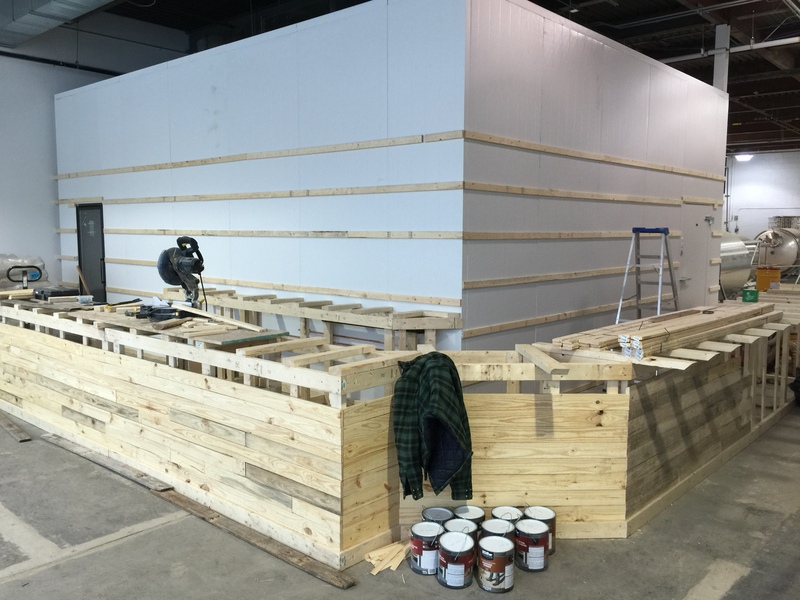 Now that the ball is rolling, we’ve got a fair bit of the construction done, plumbing, floor drains, our walk-in cooler was installed last week, the tanks are here, and now we’re just waiting for the epoxy floors and finishing touches before they can be placed and connected. I’m hoping to be brewing on November 15th. Mikey and I are running the brewery together, with the very important help of our two boys (ages 4 years and 7 weeks). Mikey does all the artwork for the cans, glassware, and website, and will be in charge of our Quality Assurance lab; I’ll be making the beer. We’re brewing on a 10 barrel DME system. We’re double batching into our 20bbl fermentors, which allows us to do back-to-back brews without the wait. DME is based in Charlottetown, so we were happy that the best system for us was also an Atlantic Canadian company that we could feel good about supporting. We’re aiming for a December 1st opening, with a grand-opening party sometime mid-December. An important aspect of our plan is having packaged beer in 16 oz cans. This will allow us to distribute through the ANBL stores, as well as exporting our beer to Nova Scotia, PEI, and also hopefully on to Ontario, Quebec and the US markets eventually. We will also have a taproom at our location where customers can fill growlers, buy cans, and enjoy a pint of our beer with a view of the brewery. We will be organizing regular brewery tours, too. So far, we are going to be on tap at the James Joyce, King Street Ale House, and 540 Kitchen & Bar. Can you tell me about the beer(s) you plan on offering initially? Are you planning on offering a specific style, or genres (German, English, etc), of beer? Any seasonals, one-offs, or will you stick mainly with a “flagship lineup”? 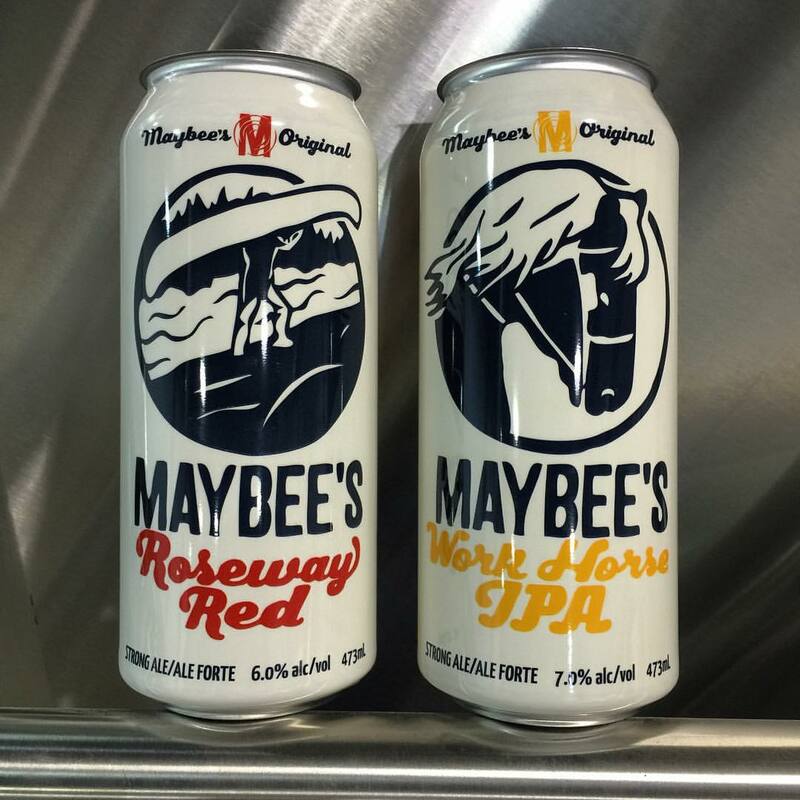 We plan on having two beers in cans, initially: Roseway Red (6% ABV, 70 IBUs), a crisp and refreshing American Amber, and Workhorse IPA (7.2% ABV, 70 IBUs), an American IPA. They will also be available in the taproom, along with two other rotating beers. Rotating beers will include Birdseye Pale Ale (6% ABV, 55 IBUs), an easy-drinking APA; Elevensies Espresso Stout (5% ABV, 43 IBUs), made with Fair Trade Organic espresso beans; Rye IPA (~7% ABV, 75 IBUs), made with Rye malted in Atlantic Canada; Belgian Tripel (9.2% ABV, 25 IBUs), a golden Belgian ale with a dry, complex, fruity taste; and Belgian Quadrupel (11.5% ABV), which has a very complex flavour, and is a real sipper that should appeal to wine drinkers… I hope to have this one ready by Christmas. Like with any brewery just getting started, our lineup will change over time. We like to say we are style agnostic, but I really like American and Belgian style beers, and you can expect some sours and Brett (Brettanomyces) beers down the line too. Too many to mention really. When I decided to jump into this project two years ago and approached a few breweries to ask questions, I was blown away by how much they wanted to help. I’ve made a lot of good friends in the industry already. I’ve even visited breweries in British Columbia, Oregon, D.C., and Germany, and everyone has been very helpful. With the recent increase in the number of new breweries in Atlantic Canada, what will make Maybee Brewing different from the rest? This is an interesting question. It’s impossible not to be different, really. Every brewery has its own style, and that’s what makes it so interesting for beer fans. We’re offering a wide variety to people with a huge range of preferences. I don’t need my beer to be everyone’s favorite, but it is my favorite, and that’s a quality standard I’ll hold every beer that leaves our brewery to. 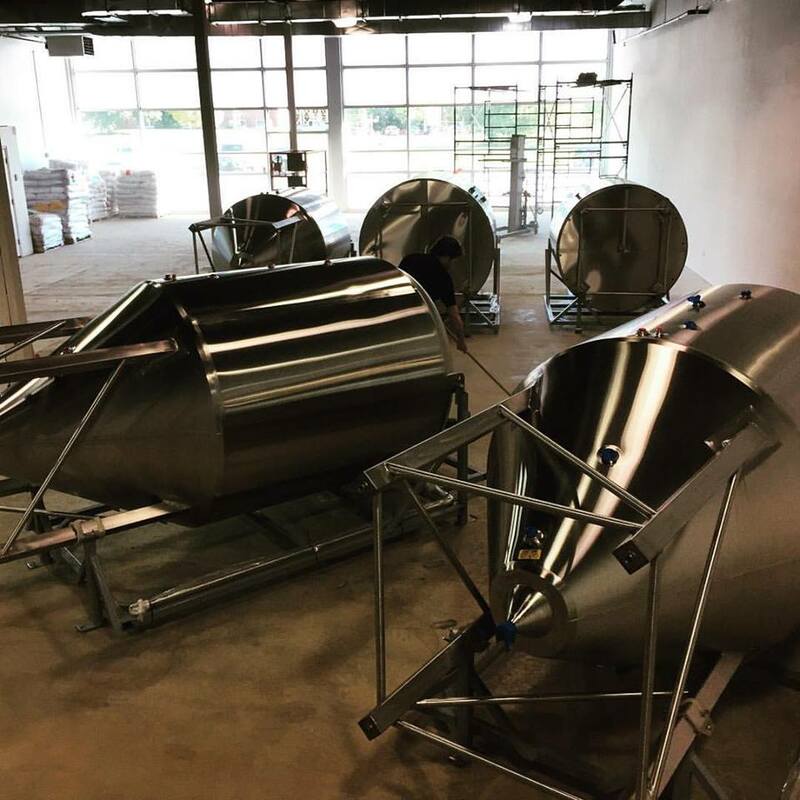 Where do you hope to see Maybee Brewing in the next 2-3 years? Honestly, I want this to be fun for us, our staff, and anyone who drinks our beer. Once I’m satisfied everyone is having fun with it and the quality is there, I will take a very close look at our environmental impact. Maybe not in 2-3 years, but I plan to have a carbon neutral brewery, running solely on renewable energy. This is attainable and something that is very important to us as a family. We will always be expanding our lineup of beers as well, introducing sours (as I’ve mentioned before), barrel-aged beers, and more interesting styles that aren’t easy to get in New Brunswick. Do you personally have a favorite beer style? Beer? Brewery? I’d say right now my favorite beer is Orval. I love Brett beers done well, and the Trappist monks have perfected the craft. I really like brewing with local ingredients. One of my current favourites are sumac berries. They have a very tart flavour that goes well with a Witbier. It’s a summery beer, so I’ll probably introduce that as a seasonal next summer. The people in the NBCBA have a wealth of knowledge and are willing to share it with anyone. For anyone interested in brewing, even just for fun, join the club. It’s the second best thing that ever happened to my brewing. 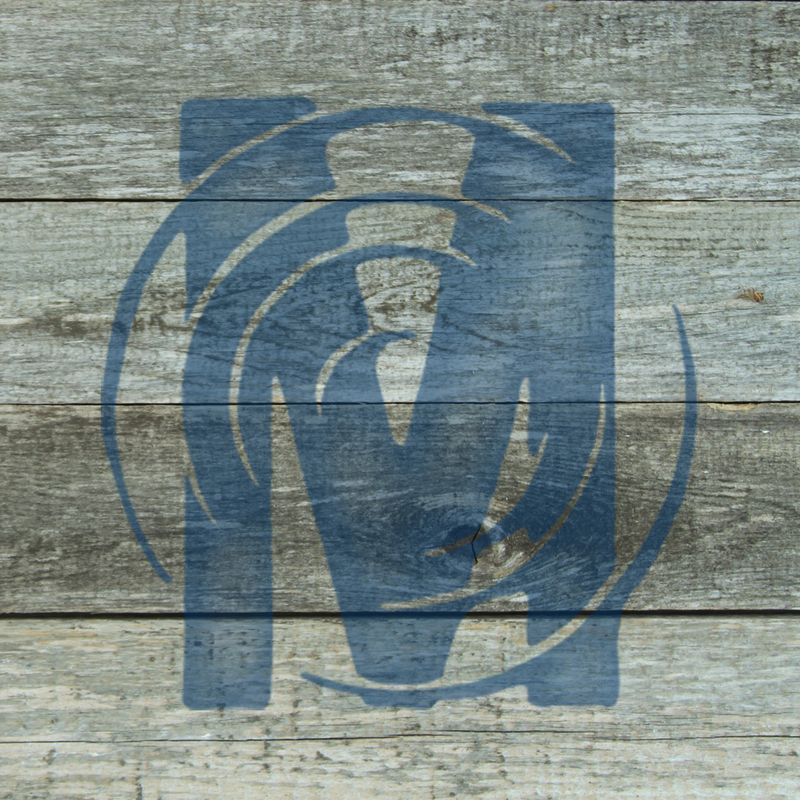 We’re excited to welcome yet another new brewery to Fredericton; we’ll be keeping you up-to-date over the coming weeks as Maybee Brewing gets closer to their opening day. And stay tuned for news on their Grand Opening party as well! In the meantime, follow the brewery’s progress through their Facebook, Twitter, and Instagram accounts for constant updates. ← Friday Wrap-Up – Atlantic Canadian Beer Awards Wrap-Up, and News from Pump House, Fredericton Cider Fest, Railcar and more!